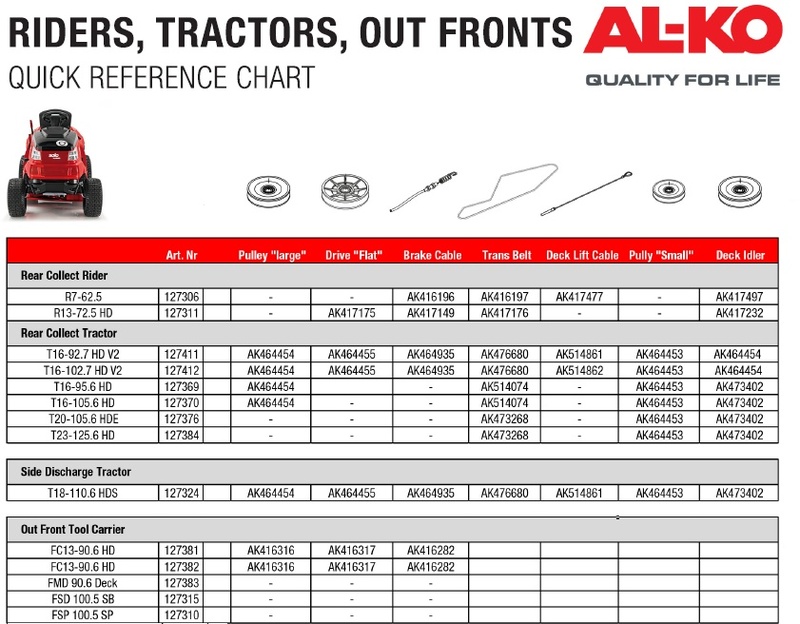 Rider Ride On Tractor Out Fronts Spares and Spare Parts. 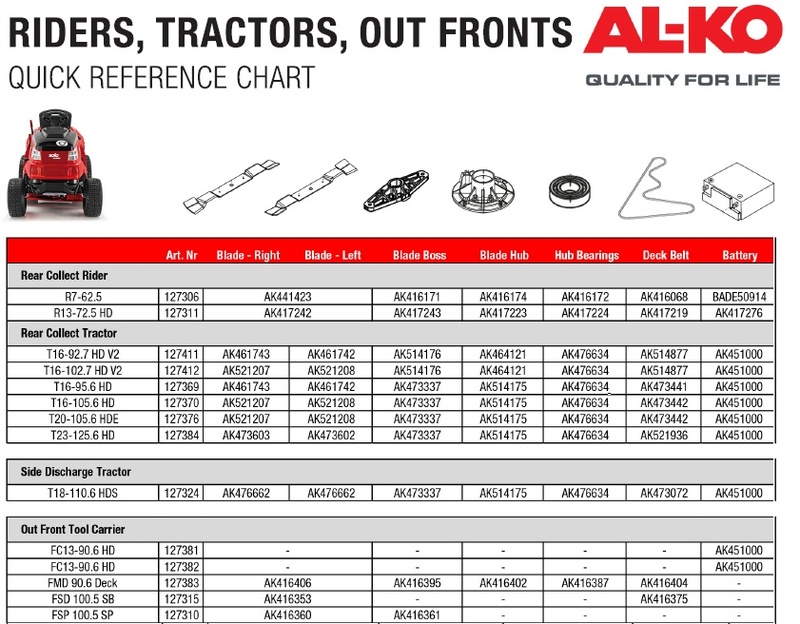 ALKO rider ride on tractor Spares and Spare parts for ALKO R7 62.5, ALKO R13 72.5 Spares and Spare Parts, Alko T16 92.7 HD V2 Spares and Spare Parts, ALKO T16 102.7 HD V2 Spares and Spare Parts, ALKO T16 95.6 HD Spares and Spare Parts, ALKO T16 105.6 HD Spares and Spare Parts , ALKO T20 105.6 HDE Spares and Spare Parts, ALKO T23 125.6 HD Spares and Spare Parts, ALKO T18 125.6HD Spares and Spare Parts, ALKO FC13 90.6 HD Spares and Spare Parts, ALKO FC13 90.6 HD Spares and Spare Parts, ALKO FSD 100.5 SB Spares and Spare Parts, ALKO FSP 100.5 SP Spares and Spare Parts. PleaseClick on thePart Number of the part you require.